These items are part and parcel of the Link’s scholarship project dating back to 2001. The project originated when the previous Government required parents to provide school uniforms as well as education material such as exercise books, pens and pencils, and other education items. When the Sandinista Government was returned to power in the 2006 election, they removed the need for parents to provide uniforms which relieved poor families from the costs involved thus enabling more children to go to school. The Link agreed to continue providing educations material such the schoolbags, which carry the Link logo, containing exercise books, pens and pencils as well as things like geometry tools, in order to enable as many children as possible to attend school. This scheme has always been very important in providing opportunities for more children from poor families to access and enjoy primary education. 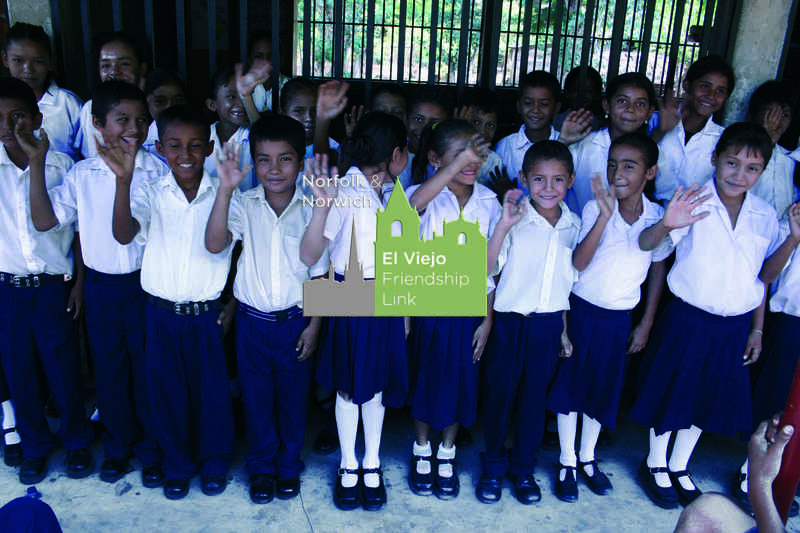 The photographs of the annual presentation of the schoolbags and their contents illustrate very clearly how valuable this project continues to be to the people of El Viejo. This project gives our scholarship pupils an opportunity to go to school and who may, after 6 years, graduate and follow on to high school. Without this help it is likely they could not go to school at all.